For an Iowa-loving guy like Joe Otto, there’s only one other place he’d like to live, and that’s North Carolina. Both states are friendly, he says. Both states have agricultural roots and plenty of opportunity for outdoor adventure. Sure, North Carolina has its mountains and seashore. But Iowa is home. Though he’s lived in North Carolina for five years, Joe never misses an opportunity to sing the praises of Iowa to all of his friends. He’s a one-man public relations crusade for getting Iowa history back into the classroom, and he’s on a mission to boost Iowans’ pride in their state. Joe (’07 history) is completing his master’s degree at Appalachian State in Boone, N.C. After he finishes that degree, he’s planning to get a Ph.D. and then return to Iowa – his goal is to teach history at Iowa State. Joe’s master’s thesis even has an Iowa theme: the channelization of the South Skunk River. “As a kid, I grew up in the country in Jasper County. My parents’ land touches the Skunk River, and I had a lot of contact with the river as a kid. So when I was thinking about a thesis topic it just kind of clicked.” Joe plans to enjoy North Carolina as long as he lives there. He takes full advantage of the hiking, canoeing, and kayaking opportunities he has in the western part of the state. 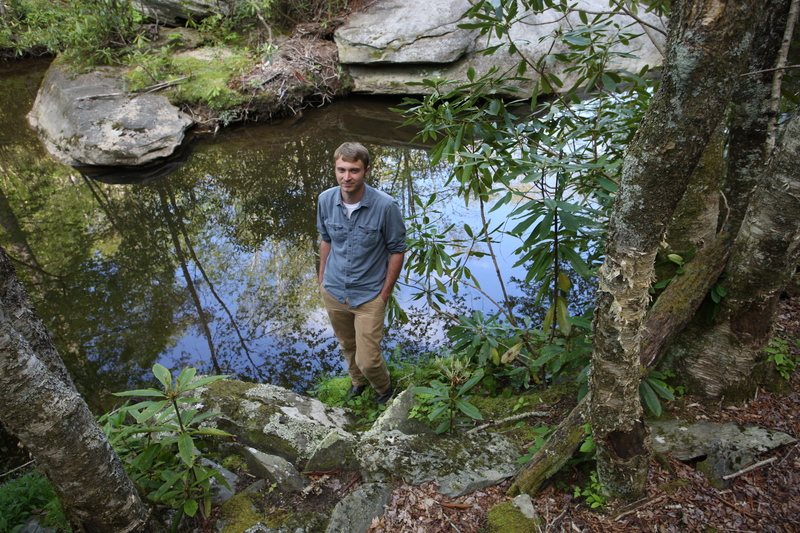 Photo note: Joe enjoys outdoor activities at Julian Price Memorial Park on the Blue Ridge Parkway. The park offers hiking trails, plus an opportunity to fish, canoe, and camp.